Hey guys. So I noticed something on this case thing.. I believe it's case art. Look at the back.. one of the pictures shows the castle doors open with a light emiting from it.. I believe there was also a supposed secret level called Enchanted Forest. I'll try my best to find it. I found this thread in spyro forums where there was this great hacker who found secret things like lines and stuff. and gnasty gnorc supposed to be in there and blah. I heard somewhere there was planned to be a surf board too. Spyro Forum? I go there too. It's where I found a bigger picture. 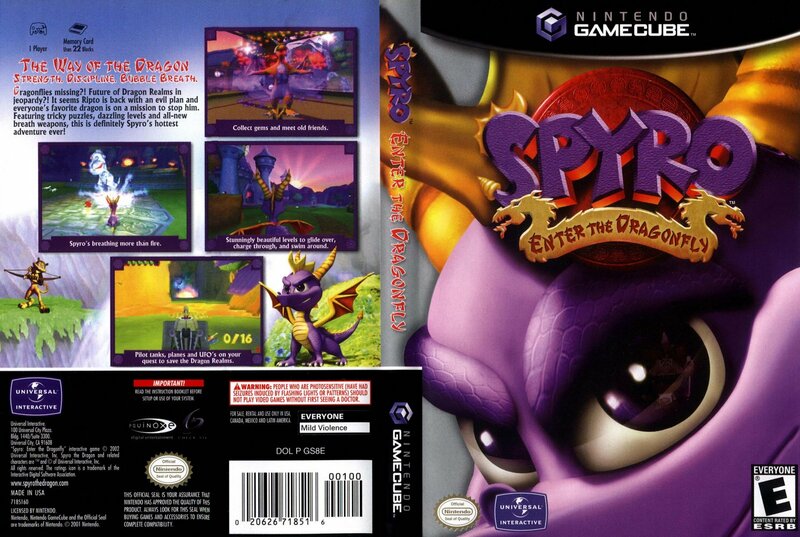 On the ps2 case, on the back it says "Spyro's Breathing more than Fire!" but it shows Spyro in a red room breathing ice to some.. Snow monster? I think ima try and get into the castle and see. hmm yes I don't recall that level in that screen shot, I haven't been to all levels but could that snow monster be just a normal riptoc that got frozen by spyro? thing is that they would turn into a block of ice.. I think. WHY DID THIS HAVE TO BE RUSHED. I've beaten the game/been to all levels, and nothing. I also remember someone saying that money bags had art of him being in normal clothes too, and there was a topic with lots of cut stuff. I really like dicussing this stuff, especially with ETD.